Your Furniture 4 Less has two stores located in Centre County. Our Philipsburg store opened in July 2012 and the Bellefonte store soon followed, opening its doors in October 2012. 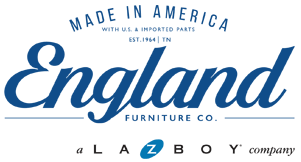 We are a locally-owned, mid-size furniture store here to provide our region with quality products at everyday low prices! Owner, Brad Ishler, leads our team with over 40 years of family history in the furniture sales industry. Our experienced team strives to build our business through value, quality, and superior customer service. Your Furniture 4 Less always aims to please! With an experienced and knowledgeable sales staff, we are happy to help you transform your house into a home by providing you with one on one, personal customer service. From purchase to delivery, our goal is to make your furniture shopping experience fun, easy, and effortless! Superior customer service and satisfaction is our number one priority. With two locations, we’re always close to home! Come in and see our everyday low prices on everything you need. From dining sets to bedrooms suites, living room seating, and accents; we have it all! Your Furniture 4 Less is also your local and EXCLUSIVE dealer for Paramount Sleep: a family-owned, “Made in USA” certified mattress manufacturer that includes Amish-crafted foundations with their product. Please stop by either location, ask questions, and tell us how we’re doing!